Similar to Goreme, the Ihlara Valley (in the past known as Peristrema) combines natural beauties with historical works of art. 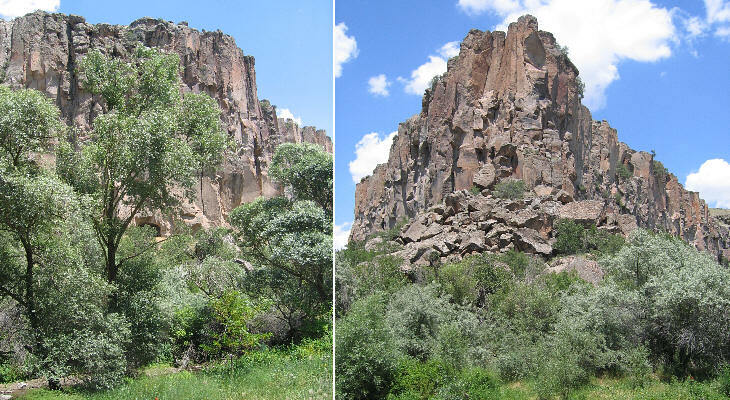 The valley is the result of the collapse of rocks originally erupted by Mount Hasan, which is located to the west of Nigde. 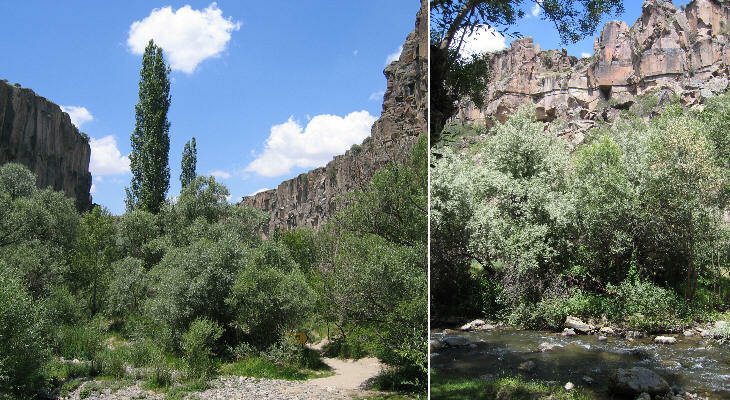 A small stream, now called Melendiz, found its way through the rocks and in millions of years it enlarged its bed. 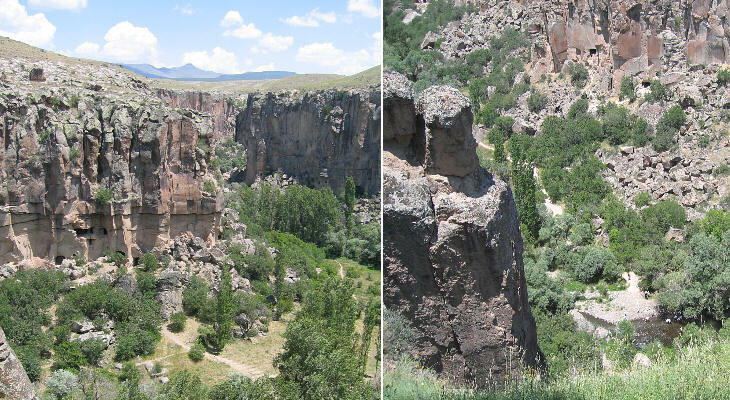 The resulting canyon has a length of 8 miles. The walk is shadowed by poplars and other trees and it is accompanied by the babble of the brook. Many churches were dug into the walls of the canyon; they date over a long period of time. 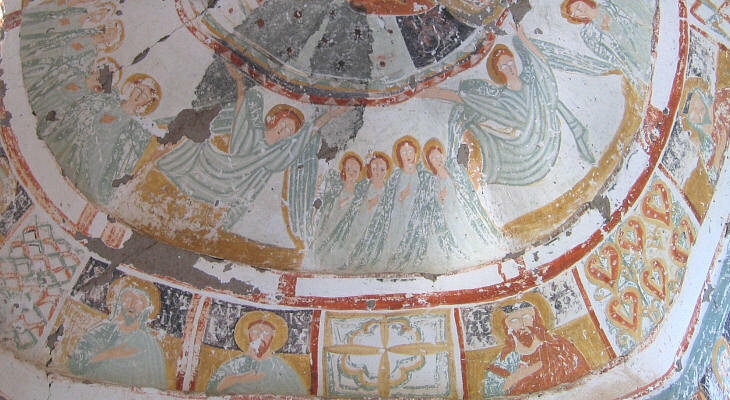 The frescoes shown above have a neat design and a sense of movement which are unusual in Byzantine art. The churches were abandoned for centuries but the damages to the frescoes have two distinct causes: modern vandalism and ancient hate for what was regarded as a sinful practice. The blinding of the eyes may not have been the action of Muslims, but rather of VIIIth century Byzantine iconoclasts. Blinding was a favourite punishment at Constantinople and many emperors who lost the throne, lost their eyesight too. At the end of the gorge the erosion of the volcanic rocks (a mix of basalt and tuff) has created the same landscape which is usually associated with Goreme. Houses, stables and warehouses were cut into the soft tuff. 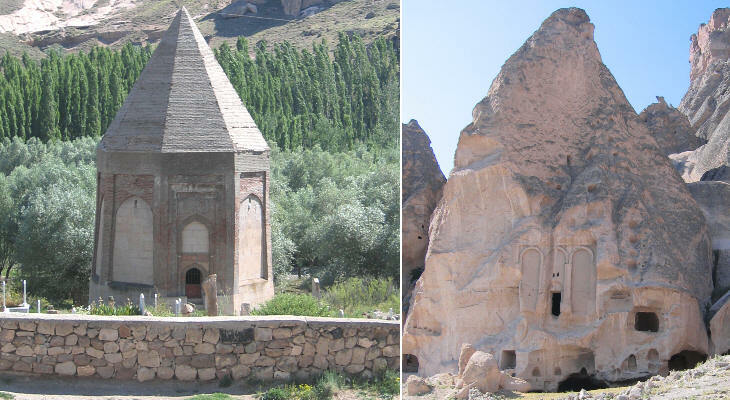 The only traditional old building along the whole valley is the tomb of a Seljuk pacha.